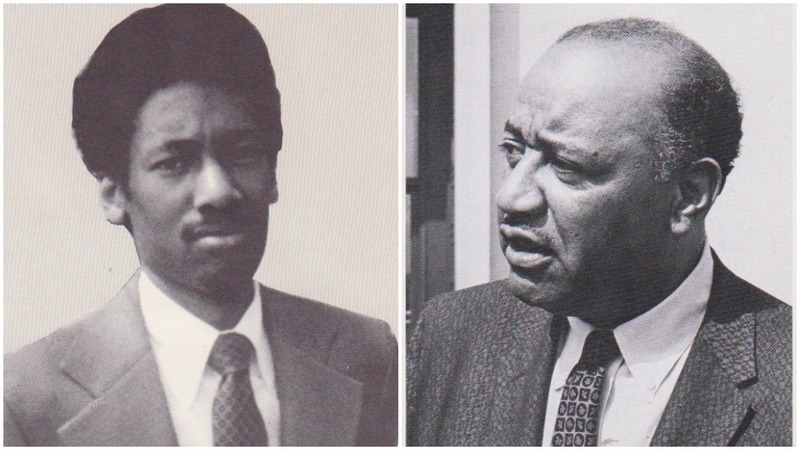 Harold Wade, Jr., left, and Ben Davis, Jr., right. SEQUIM, Wash.—I regret that I did not meet Harold Wade Jr., who entered Amherst College as a freshman in 1964, the same year I graduated from that institution. He was one of a handful of African Americans admitted to Amherst, then an all-male liberal arts college. Wade died tragically in a drowning accident in the Bahamas in 1974. Two years later, through the determination of his mother, Thelma Wade, Amherst College Press published a book, Black Men of Amherst, which Harold Wade Jr. wrote before he died. I am grateful to Kathleen Whittemore who wrote a cover story for the Winter-Spring 2018 edition of Amherst, dedicated to Harold Wade Jr. Her story, headlined “His Black History: The Unfinished Story of Harold Wade Jr. ’68,” brings my classmate alive for me. Harold Wade graduated with honors from Amherst and went on to Harvard Law School. After he graduated, Wade moved back to New York City, where he got a job as an assistant to Deputy Mayor Paul Gibson. But Whittemore is silent on one point: Did Wade make mention of Benjamin J. Davis Jr., who graduated from Amherst in 1925? I devoted a chapter in my book, News From Rain Shadow Country to Davis’s visit to his alma mater at the invitation of Prof. Tom Yost. I heard Davis speak and went to Yost’s home afterward, where I met and spoke at length with Davis about his eventful life as an African-American Communist. Finally, I found a copy of Wade’s book online for $12.64. It arrived, a hardcopy in perfect condition. It is stamped “Withdrawn” from the University of the Pacific library in Stockton, California. When I opened the slim book, I found many pages devoted to Benjamin J. Davis, Jr. Wade recounts in detail Davis’ services as an Atlanta attorney for Angelo Herndon, a Black youth, framed on “insurrection” charges for daring to organize a multiracial march of the unemployed in 1932. Convicted by an all-white jury, Herndon faced the death penalty. Ben Davis vowed to appeal the case to the U.S. Supreme Court. Wade writes, “After the Herndon trial, liberal blacks and whites formed a coalition to defend Angelo Herndon—in much the same way as similar groups rally to ‘Free Huey’ or ‘Free Angela.’” The Supreme Court threw out Herndon’s conviction in a 5-4 decision. In the middle of the legal fight, Wade reports, Davis joined the Communist Party USA. Wade quotes a 1947 article by Ben Davis entitled “Why I am a Communist.” He also quotes Angela Davis’ interview in Ebony magazine on why she too joined the Communist Party. 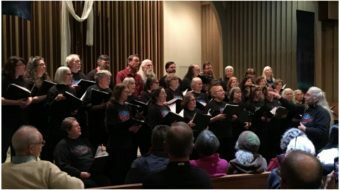 Racist oppression is central to the system of capitalist exploitation, both argue. 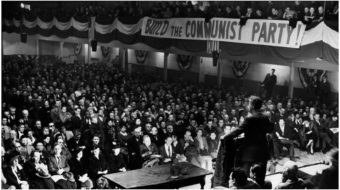 The Communist Party USA has played a spearhead role in the struggle against racism and for the unity of African-American and white people throughout its history. “Black, Brown, and White Unite. Same Class, Same Fight,” has long been one of the party’s main slogans. And like the CPUSA, both Ben and Angela Davis argue that socialism is central to winning full equality. Cold War witch-hunters targeted Ben Davis and other top leaders of the Communist Party, Wade continues. After his release from prison in 1955, Davis returned to the Daily Worker. In 1959, he was elected National Secretary of the CPUSA. 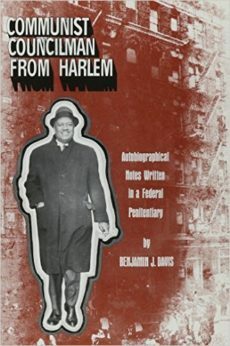 Benjamin Davis, Jr.’s 1969 autobiographical book, “Communist Councilman from Harlem,” is available from International Publishers. 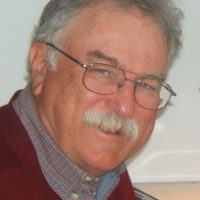 Wade writes that “Ben Davis’s autobiographical notes were released from prison one year after his death and ten years after his release from prison. Since they were not published until 1969, his story is just being re-told.” Wade is referring to Communist Councilman From Harlem published by International Publishers in 1969. Wade reports that Amherst became a college of the wealthy elite in the 1890s. During those years, he adds, an estimated 1,700 Negroes were lynched in America. 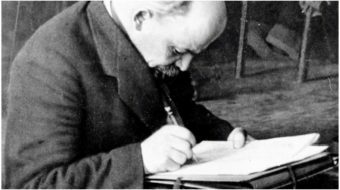 “This period of capital accumulation was precisely the period in which blacks were being deprived of all their rights,” he writes. He dwells on one of the most dramatic incidents in African-American history: Dr. W.E.B. DuBois’ debate with Booker T. Washington in which DuBois debunked Washington’s line that African Americans should strive only to be skilled tradesmen, not seek higher education at places like Harvard. Harold Wade Jr. makes no secret which side he is on: Dr. DuBois all the way. Wade’s book helped push open the doors of places like Amherst for African-American applicants. And women too, since during these same years, Amherst decided to become a co-educational school. Whittemore reports that Frost Library may republish Black Men of Amherst. I hope so. The book reads as fresh, clear, and strongly argued as the day Harold Wade Jr. wrote it.